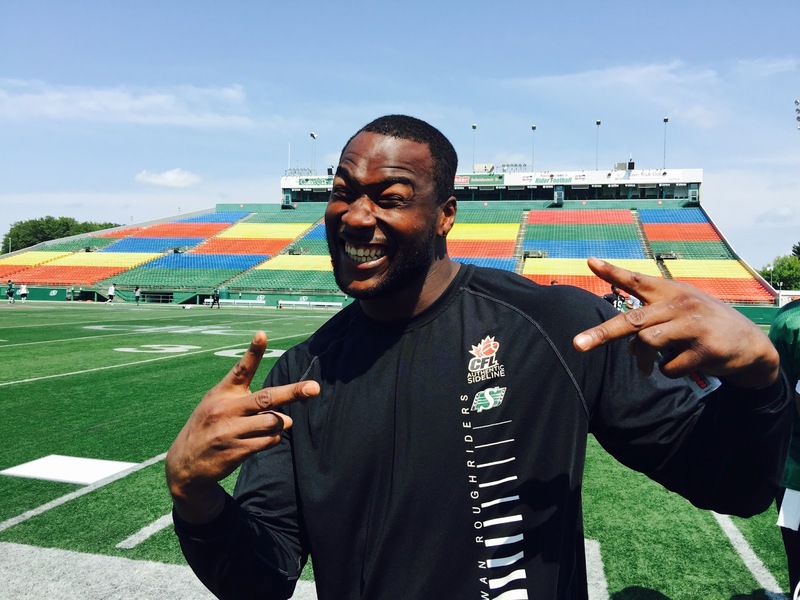 The Brampton Bus is stopping in Saskatchewan again: the Riders have agreed to terms with Canadian ball carrier Jerome Messam on a one-year deal, per sources. Messam spent parts of two seasons in 2014 and 2015 where he re-established himself as an elite runner. The six-foot-three, 255-pound back rushed for 826 yards and two touchdowns while hauling in 47 passes for 464 yards, 1,290 yards from scrimmage in 15 games in 2015. At that year’s trade deadline, then-interim general manager Jeremy O’Day sent Messam to Calgary for Canuck kicker Tyler Crapigna. That off-season the Stamps re-signed him for two years. Riders head coach and general manager Chris Jones is said to have an affinity for Messam, raving about him in defensive film sessions. Messam rushed for 305 yards in three meetings against Saskatchewan in 2017, two times going over 100 yards in both games that were both Stamps victories. The 32-year-old was a stalwart for Calgary rushing for 2,394 yards and 20 touchdowns adding 701 yards on 93 catches and another major in 37 regular season games. Messam had a career-best campaign in 2016 when he rushed for 1,198 yards and 11 touchdowns while catching 54 balls for 485 yards and one TD, all of those numbers are single-season highs. That year he earned the CFL’s Most Oustanding Canadian award. Over his eight-year CFL career, Messam has rushed for 5,484 yards and 34 touchdowns while adding 1,997 receiving yards and two touchdowns on 219 receptions. Messam is better than Lafrance. Yes Baby, Yes . Great signing Riders. I think the signing of Messam just makes our o-line better. Another 33 year old. Don't see the logic. So the Richsrdson/Marshall/ Thigpen trio aren't good enough? Stamps made the right moves dropping Messam & Hughes. You might get a year out of them but you're rolling the dice. Money on Messam could be better spent elsewhere, like the OL. Messam isn't known as a great blocker so won't help keeping the sacks down. "You might get a year out of them..."
Messam and Hurl...it's a great day!! What an awesome job the Riders did this year with FA....tons of Canadian talent coming our way....probably the best Canadians available. Once again I am amused at the salary cap cops on this and other blogs....who cares...salary cap smalary cap...its a luxury tax...win the cu and pay the fine!!!! The riders completely whined until the CFL brought the salary cap in so they could compete and you win one Grey Cup by going over it and now stating to do it again? The Grey Cups that are won by going over the cap doesn't make you champions...it actually makes you cheaters and no pride in that. 3Down said Messam got $120K which is only $10K more than they paid Lafrance.Just a 1 yr deal. So another good move by Jonesy. All the players signed are good, just need to get the oline fixed. Hopefully Campbell is next. Henoc Muamba most likely gone.